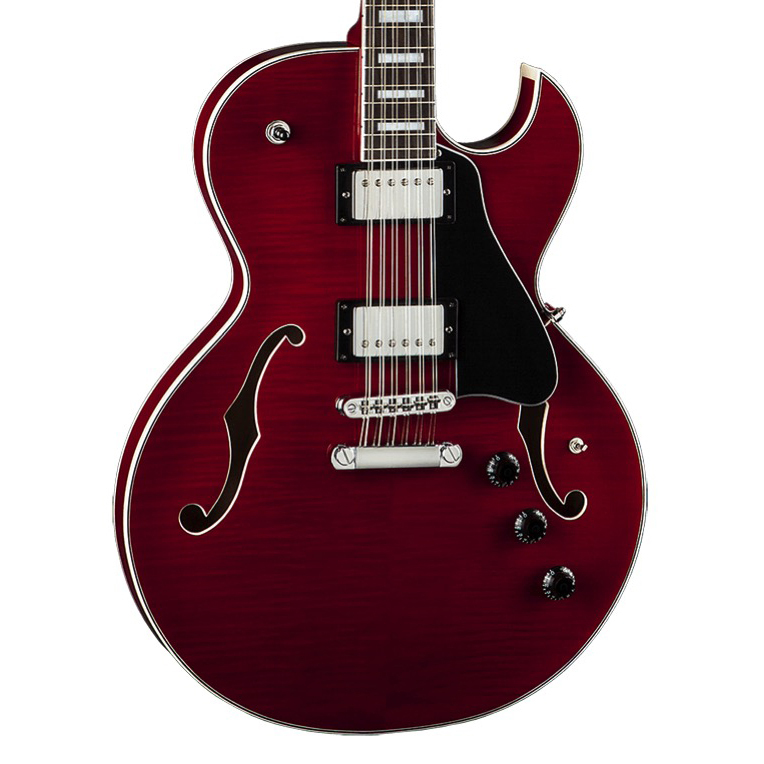 The Dean Colt Semi-Hollowbody 12-String Electric Guitar offers a classic look with some modern technology to create a guitar that exceeds expectations. 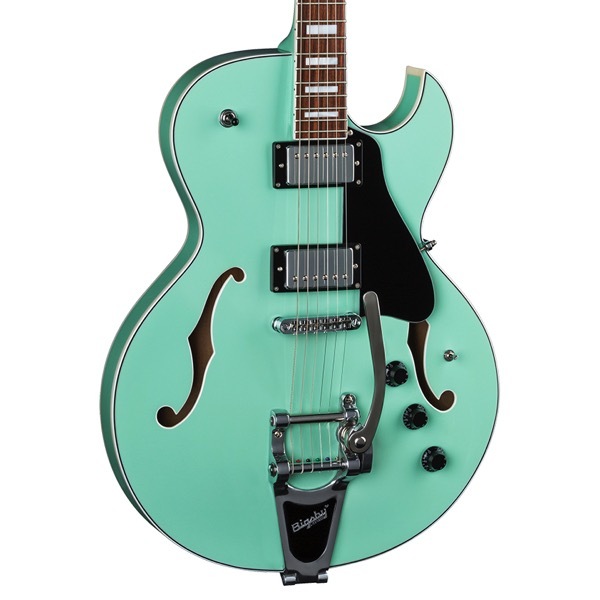 It has a semi-hollow maple body with an arched maple top and f-holes for a timeless appearance. It's well-balanced and comfortable to play and has a relatively shallow body depth of 1-7/8". The set maple neck comes in a C shape with a Pau Ferro fingerboard and pearl block inlays. Chrome hardware includes Grover tuners and a tune-o-matic bridge with a piezo pickup. And that's where the sonic fun begins. In combination with DMT design humbuckers, the piezo pickup offers up a pleasing variety of electric and acoustic sounds. A 3-way toggle for the humbuckers and a mini pickup selector let's you mix the 2 worlds to taste.